When I was 17, I dreamed of being king. And having everything I wanted. How about Queen? It’s still of nothing. Normally it doesn’t bother me that I’m just a worker-bee. 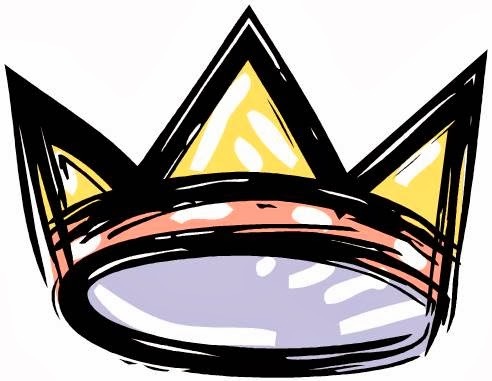 After all, what would all the Kings get done if it weren’t for the worker-bees? Probably not much. Their job isn’t to do the work. It’s to get the credit. Have they earned that status? Some, yes. Most, no. There is definitely a hierarchy where I work. And when you are at the bottom you are reminded, continuously. It may not be overtly, but it is definitely in a most nebulous fashion. Take today for instance. We were told we had visitors in the building and if they came by your area to please help welcome them. I had been working on a large project most of the morning. I stepped out to warm my cold coconut coffee, (you don’t waste those little K-Cup things), and said hello to a fellow worker. We had just completed a joint project and we caught up on that, then drifted to some chit chat. I was preparing to return to my office when the tour came through the hall and stopped at a poster hanging in her window. The guide said, “let me introduce you to a very important person here, the coordinator of a notable state project.” She dutifully stepped into the hall. I dutifully stepped further into her office, out of the way. At the end of an animated conversation with the group the guide prepared to move them along. She turned and said, “Don’t you need to introduce Jamye?” He hesitated and said, “Oh, yes, this is Jamye. She’s in charge of CTE. She’s in that office over there.” He pointed in the general direction and I spoke to the group and explained that CTE means Career and Technical Education. That was it. I was dismissed as they moved along. Did I do this to myself by moving further into her office? Or am I conditioned to know my place? If she hadn’t spoken up I would have been completely ignored. Should I have rushed out with her and told them that what I do, even though I am Queen of Nothing, is just as important? I don’t know. Why is it that someone who has a title thinks it’s unimportant for another to have one as well? I was reminded of a conversation with my then boss, years ago. I had to sign forms in the blank with a title even though I didn't hold that title. He said a title meant nothing. It was the quality of the work, etc., not a title that defines a person. Titles are unimportant. I, apparently in my smart *ss mode, asked, so instead of superintendent would it be okay to call you custodian? Interestingly enough, the story changed and a title suddenly meant something! In the grand scheme of things, I suppose it doesn’t really matter. I could pass that group in the hall and they wouldn’t know who I was. I will most likely never see any of them again. If I did, I’d have to introduce myself or be introduced again because none of them said their names. And in reality I have a title. I have lots of titles; Mom, Mamye, friend, daughter, wife, sister. They are all cherished. They also mean much more than a work title. As my friend Lynn told me; your value doesn't decrease, because of someone’s inability to see your worth. Thank you Lynn. I’ve got to stop wearing my feelings on my sleeve! But that was long ago and my dreams did not unfold, so I'm still the King of Nothing. We finally had our last Christmas this weekend. The littles came over. 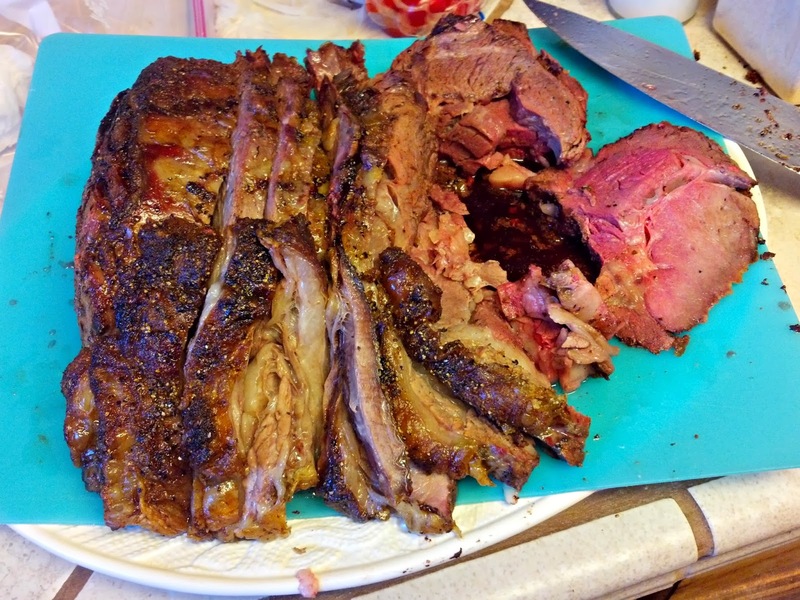 We ate and visited and opened presents then ate some more! It was a good time for all. There were a lot of presents and a birthday too! 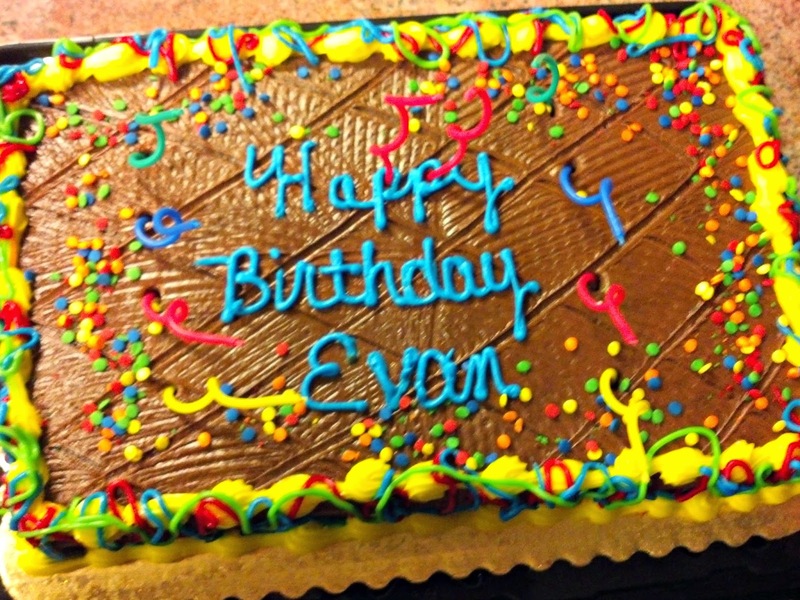 Evan turned 10. Seems impossible. 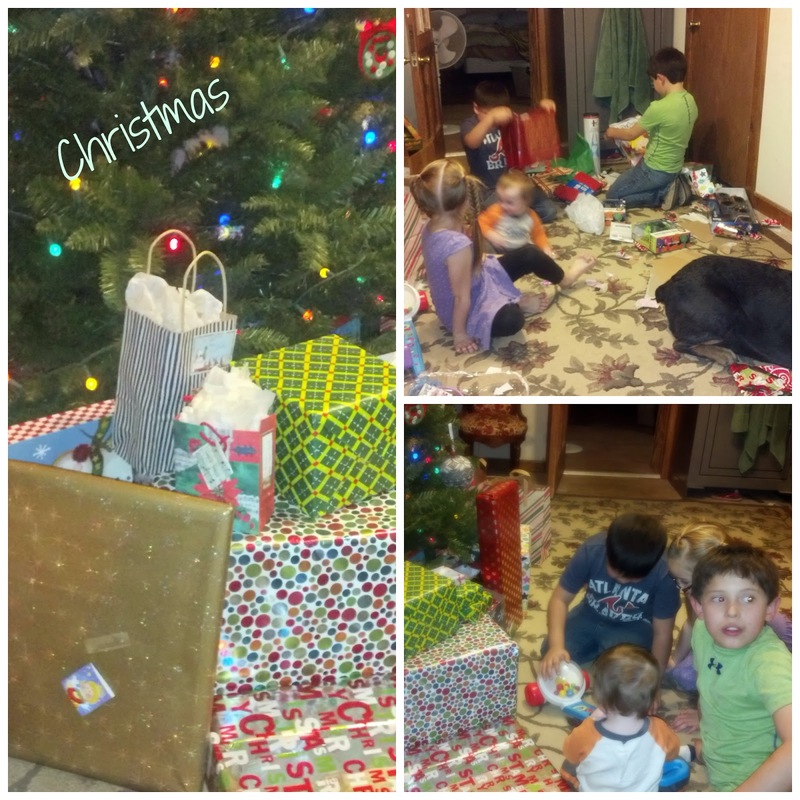 Presents and cousins. Belle was hiding! The first grandchild is already ten years old! 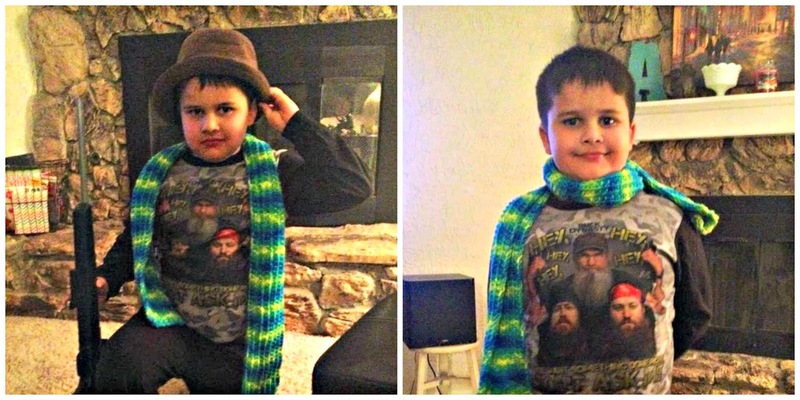 Caleb asked me to make him a scarf. He wanted green and blue with hot pink on the ends. I had some bright colored green, blue and yellow yarn and he thought that might work! He liked it. It’s always good when someone appreciates your efforts! Smashing! Handsome little dude, huh! If I could rule, I'd dance my cares away, find romance everyday. I wouldn't have to listen to this poor fool say, "I'm the King, I'm the King, I'm the King of Nothing." You are Jamye, Talented Crafter and Cherished Friend. Psssssh. What an idiot. I'll never understand people like that. I love what your friend Lynn said - so true!